Rookies bloom rarely in these days. Many people lament that it is getting hard to find a new player in NA LCS. But still, there are some buds that need to be cherished. Jordan “Shady” Robison is one of them. He made his debut last year. 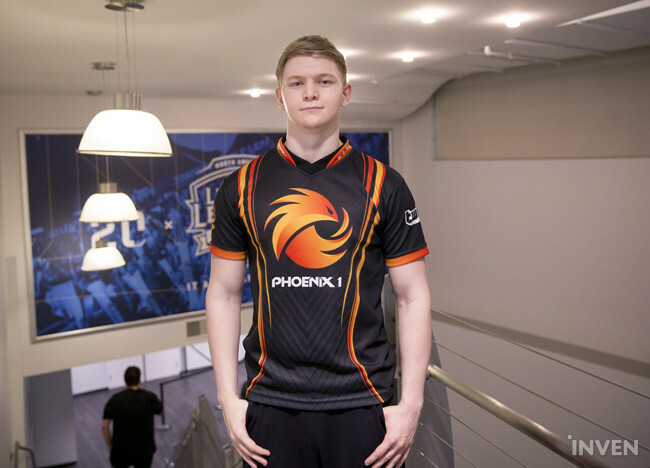 And now, he has become a starting support of Phoenix1. We may could expect his remarkable performance because he has been worked with Donghyun “Arrow” No who is the MVP of NA LCS last spring split. Even though he needs to learn a lot, it won’t be a serious problem because he will always be with Arrow, who can be a good teacher and also a soul companion. It seemed really interesting that NA LCS rookie support is paired with NA LCS MVP ADC. Shady told us that it was picturesque. “Being with Arrow, I learned a lot as a rookie. He is a great mentor and I’ve really enjoyed working with him. Also, There is no communication problem because we do duo queue everyday. His English is good enough to understand everything he saying. So, there was no issue at all.